The Congress Lok Sabha MP pointed out that the state was now saddled with a debt of Rs 2,20,000 crore, while it was just Rs 10,000 crore in 1995 when the BJP came to power. 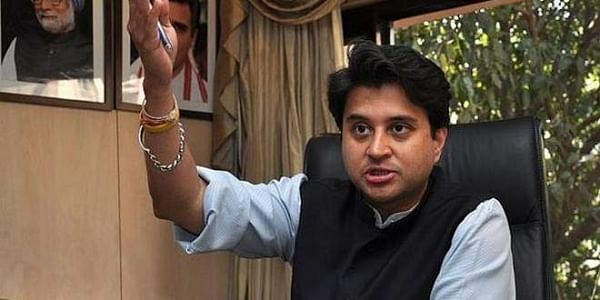 VADODARA: Former Union minister and Congress leader Jyotiraditya Scindia today said the BJP should explain why Gujarat's GDP growth has been low during its long rule in the state. He said Prime Minister Narendra Modi and Chief Minister Vijay Rupani should answer as to why Gujarat GDP growth had been lagging at around 6.5 per cent during the last 22 years of the BJP rule. The state, where assembly polls will be held next month, saw a high double-digit GDP growth during the tenure of Congress Chief Ministers Madhavsinh Solanki in the 1980s and Chimanbhai Patel in the 1990s, Scindia said. He was talking to reporters after an interactive session with youths here. Condition of farmers, women, traders and many other groups in Gujarat has gone from bad to worse after note-ban and the implementation of the Goods and Services Tax (GST), the former Union minister said. Criticising the BJP government for granting permission for opening private universities in the state, Scindia said the number of such varsities had risen from seven to 62 in the last few years. "Granting permission for establishment of universities by industrialists and private bodies was done at a speed of bullet trains. This has led to a drop in the quality of education in the state," Scindia said. Scindia sought to know why there were 30 lakh jobless youth in Gujarat when it is supposed to be a progressive state.